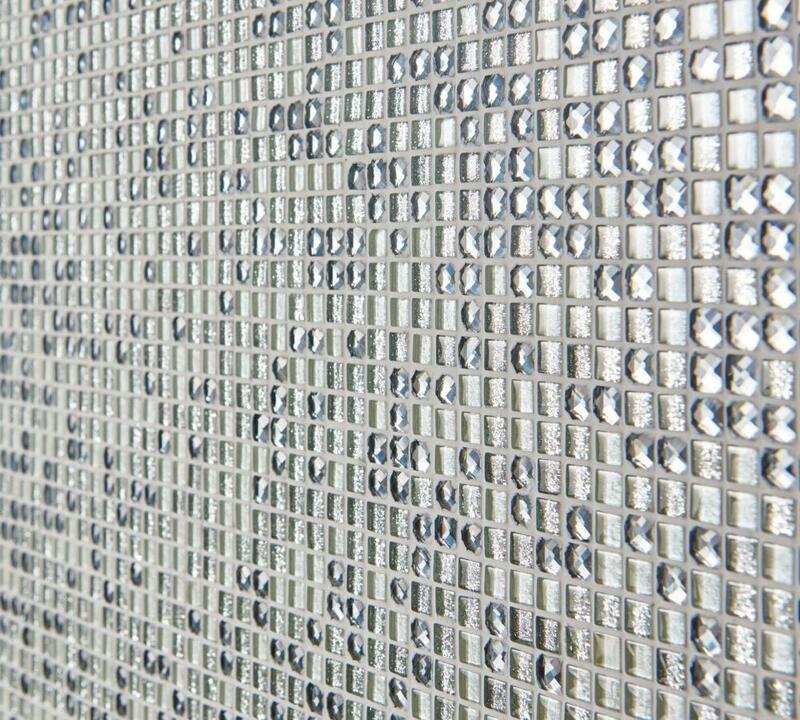 Add shimmer and shine to your interior with this truly majestic mosaic. 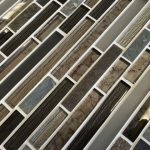 Beautifully adorned with gorgeous gems and glittery glass, this charming tile will bring elegance to your walls and will elevate the luxurious look and feel of any room. 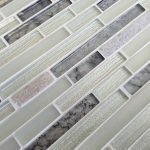 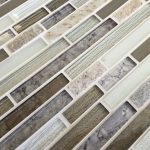 This tile is sure to impress and refresh with its intricate arrangement that glimmers and sparkles radiantly in the light. 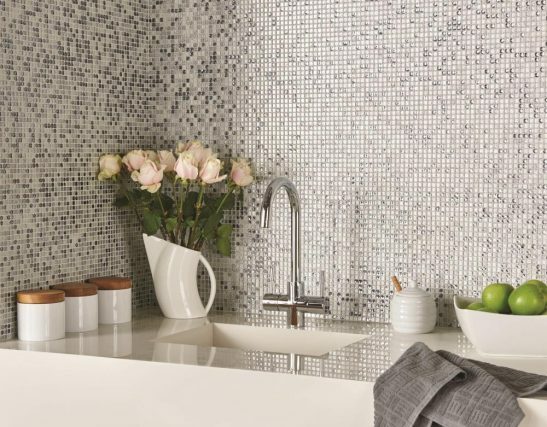 Create a beautiful bathroom, an exquisite entrance or an eye-catching kitchen with the Agleam tile. 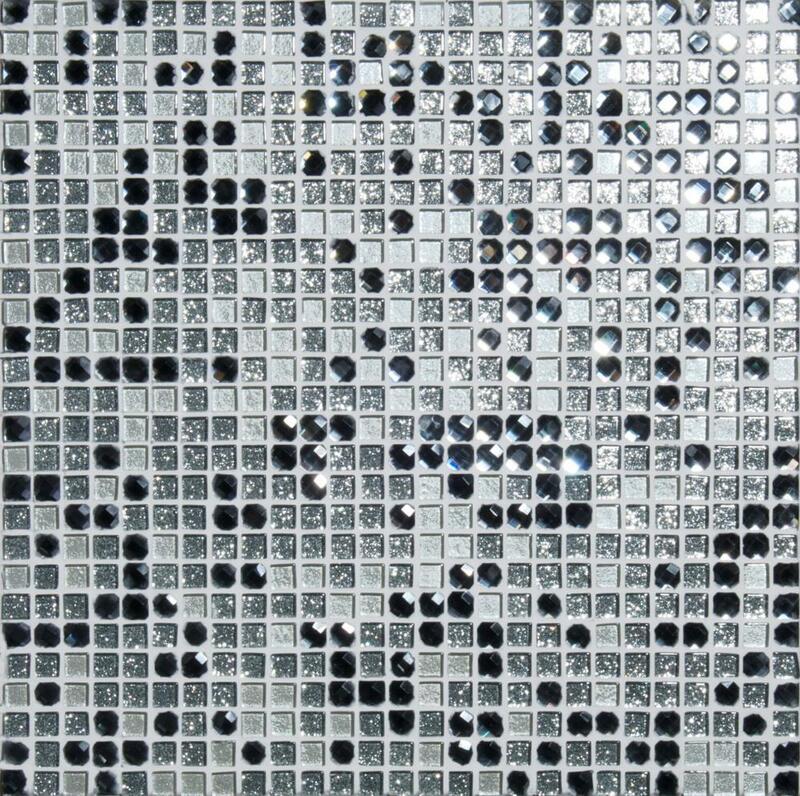 298mm x 298mm sheet size, 11.7×11.7mm tile size, 11 sheets per m².